No matter what kind of shoes and for whom you need, you will find here __ for women, men or kids. So, it's really worth it, to check them out. And, keep in mind that they have free shipping on everything. Fantastic shoes! Third and fourth are my favs.! These are so unique! Simply gorgeous! What's a cool wish list! Love the shoes! The second ones on the first row are my faves! Great selection! Ankle straps are always so perfect. great unique choices. Shoes are so artistic. Love the Ravel Jasmine sandals! I loved the first pair of sandals, in yellow! That's so bold, happy and I simply like shoes that way! The list is very good, but that is my favorite one! Love these shoes, are so beautiful! Great shoe wishlist! I love the first one! I like the shoes on your wishlist - both the flats and the heels! Fun roundup! So many great ones to pick from. They all beautiful but my eyes do not get off the second one. Thank you for your kind wish. Blakely sandal, is that named after Blake Lively? I so love each of those heels! These are lovely fashion statements! The ebony sandal could be worn on a daily basis with no trouble!!! check out my blog + follow too? Great roundup of sandals! Those first two pairs have such fun prints! Love the Chocolate Schubar Ebony sandal too! Beautiful selection, i love the Ravel Jasmine sandal! Not bad for a 30% off, isn't it? I am currently obsessed with ankle straps! They go with pretty much everything! Great wish list Nina. Wow! Amazing selection darling! I love the colors!! Really chic designs, especially love the last pair! 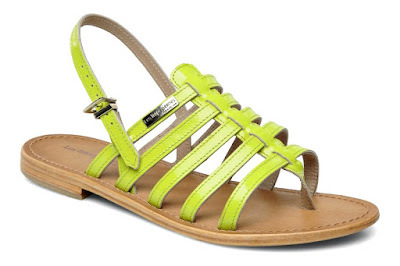 I love the flat lime green sandals! Those all are soooooo pretty! All these shoes are gorgeous! I have an obsession with leopard so I'm loving those! Wow! So many pretty sandals! I love those one with a platform because I am a petite and I also want to be a little bit more comfy! ;) My fav must be the last one! So unique and cute! The first two shoes are impeccable! They are perfect! I'm in love with the simple heel with the ankle strap, you could wear it in so many different settings! Oh girl I need all these shoes as well! haha All are stunning! Beautiful selection! I love them all! need everything! would you like to follow each other? let me know! My favourite one is the 4th! All of the shoes looks stylish, my favorite pick would be Ravel Jasmine sandal! They sure have some good shoes. lovely shoes!! I want all of them!! What a great selection. I used to have wedges similar to the ebony shoes. Sadly, they got ruined. Oh that high heels is so nice. What's a cool wish list! Wow, so many statement heels! As a classic gal, I would love the Ravel Jasmine sandals. But when I feel like turning heads, I will go for the Blakely sandals. Great post! That neon, flat sandal! Ooh la la! LOVED this post, I adore your writing style! It makes your posts so fun to read! Great selection! Love the patterned sandals! I adore the last pair! The prints are so fun, but I like the simple green sandal best! love these sandals :) great wishtlist!